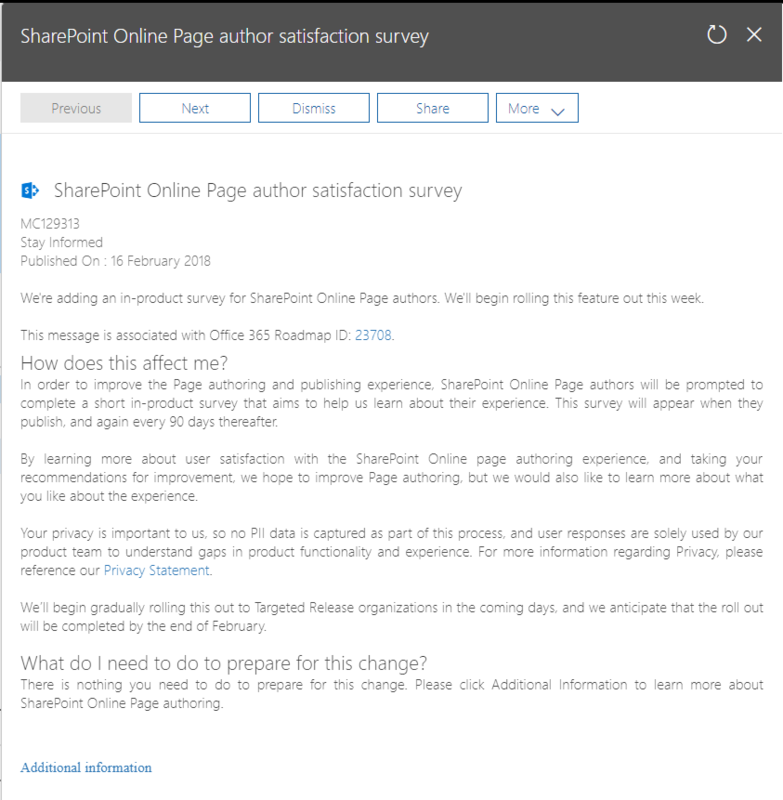 Home › Office 365 › SharePoint Online – Page Author surveys on the way. 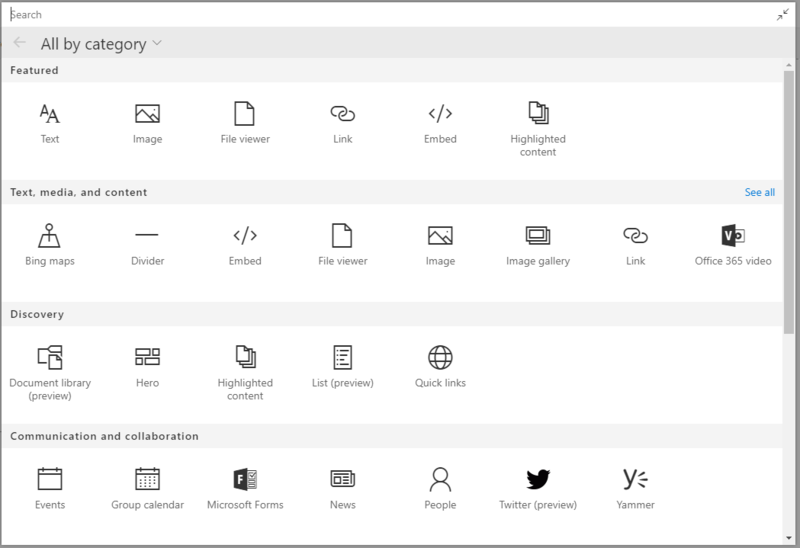 SharePoint Online – Page Author surveys on the way. Today I noticed in the Admin Center’s Message Center in Office 365 that Microsoft announced that they will ask page authors to submit a survey. I can really understand that Microsoft wants feedback, but is it a good idea to bother content editors with this? With all the new web parts that are now available to the user. I’m sure that it will be great to receive feedback on these web parts. But rather than yet again introducing a new place to report your thoughts do we really need these surveys. Why not just use the uservoice system, or just the Tech Community site or any of the other sites where people report their issues and new ideas?